Hair styling is a very important step in involved in making a person up to the mark. You are wearing the best dress, shoes, makeup, but if your hair style is not perfect everything will go waste.The Hair styling helps in make over your whole personality. Below are some of the hair styles trends which were used at the fashion Week Summer/ Spring 201. Hope it will come useful to you to make you look glamorous. 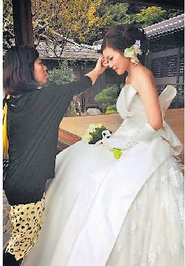 Hair styling is a very important step in involved in making a person up to the mark. You are wearing the best dress, shoes, makeup, but if your hair style is not perfect everything will go waste. 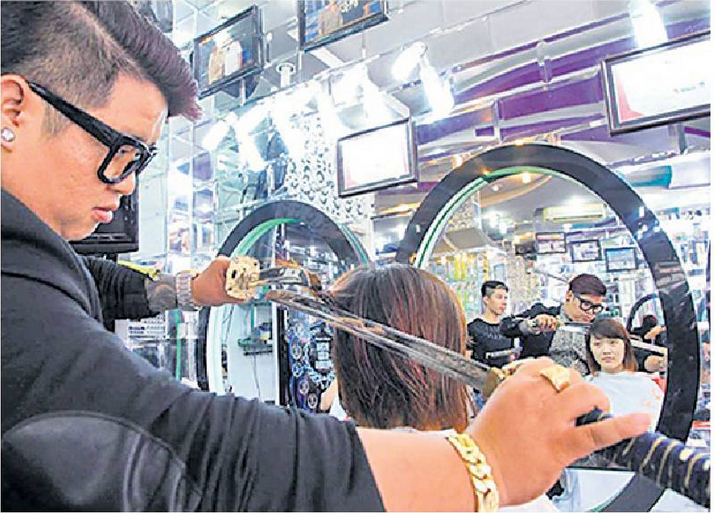 The Hair styling helps in make over your whole personality. Below are some of the hair styles trends which were used at the fashion Week Summer/ Spring 201. Hope it will come useful to you to make you look glamorous. Here are some of the hair styles with a wet look trend which is now being very popular. 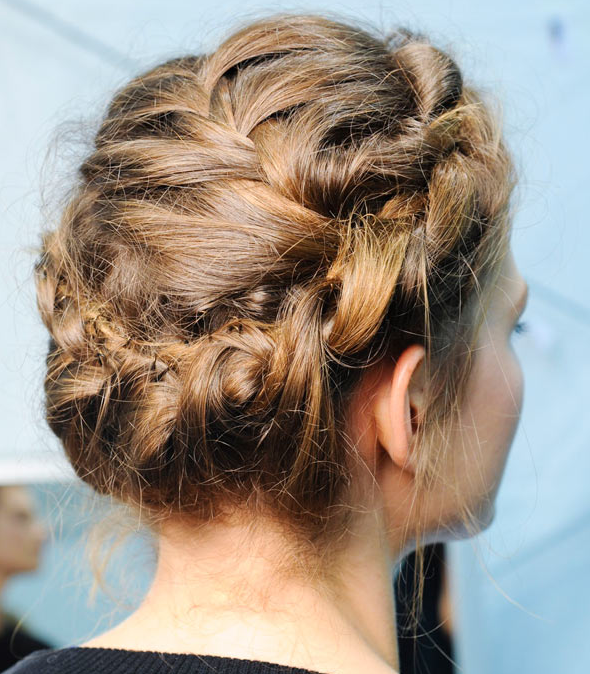 This hair style was seen at Alberta Ferretti Summer/ Spring 2012. 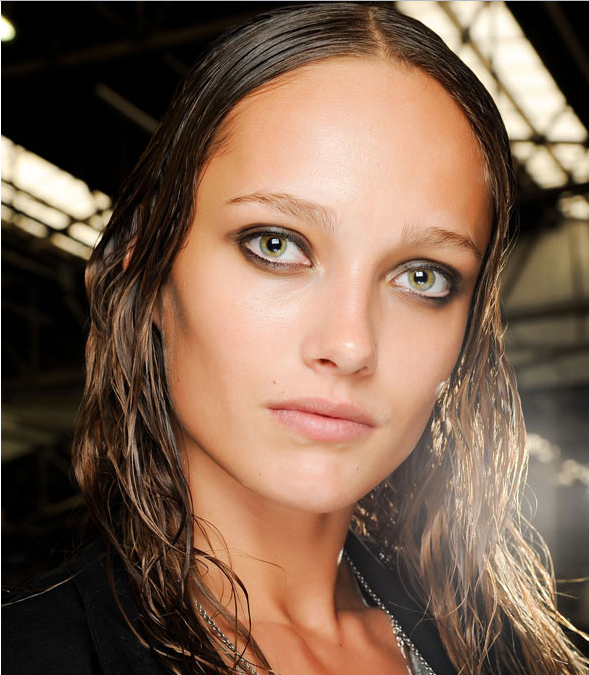 This style was seen at Alexander Wang Summer/ Spring 2012, and to achieve this look, you just need to add a generous slick of styling product to your wet hair and leave it to dry in plaits. Its a slick back hair with oodles of serum and a high- shine hairspray. 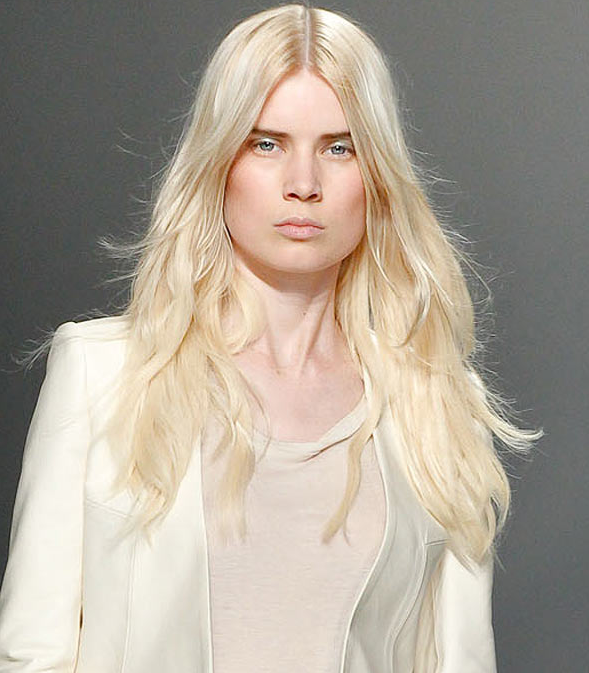 This style was seen at BCBG Summer/ Spring 2012. 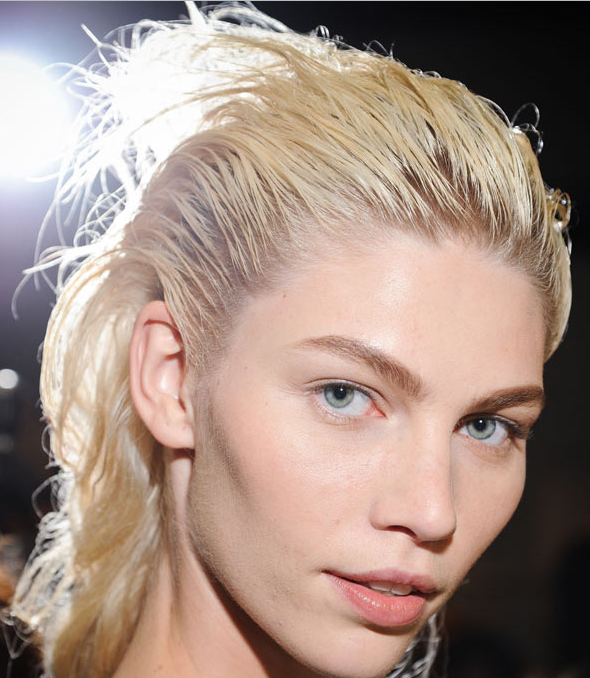 This style was seen at Diesel Black Gold Summer/ Spring 2012, its a messy up- do which is thrown on your wet look. Its a casual, voluminous quiff which lets your back of your hair loose with a tease wet look. This style was seen at Felder Felder Summer/ Spring 2012. This style was seen at Proenza Schouler Summer/ Spring 2012. The hairs are put straight back from your face with slick mid length locks. 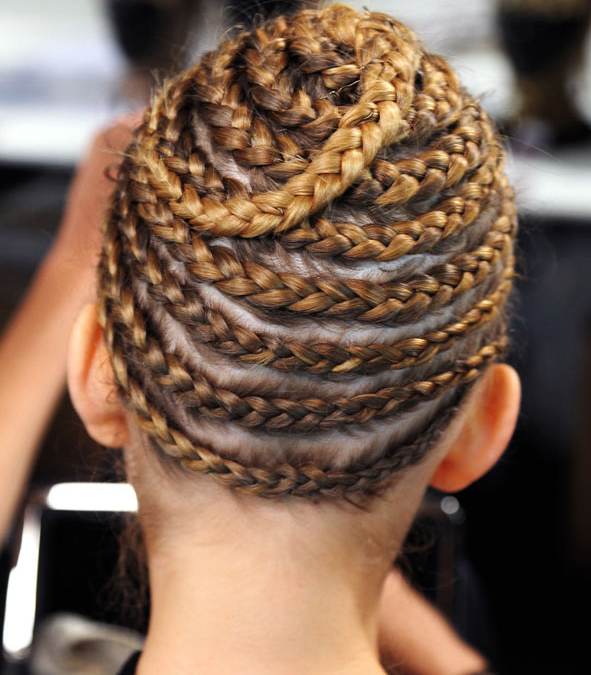 This year, the braids and twists trend has been given a extra high- fashion twist. This time the head full of twists and tight braids was opted. This style was seen at Alexander McQueen Summer/ Spring 2012. It look like the beehive braids. Its a 90’s special come back this season. Its a wrap of tightly- woven braids. This style was seen at Alexander McQueen Summer/ Spring 2012. This style was again seen at Alexander McQueen Summer/ Spring 2012, in which there’s a twist into a beehive. 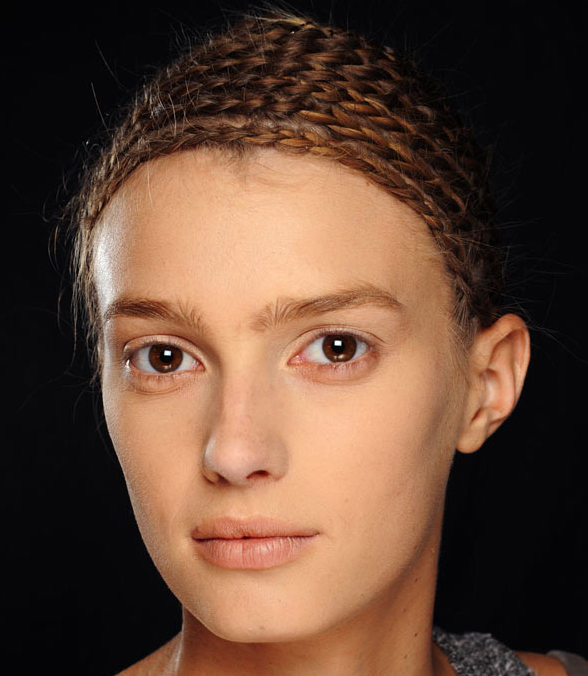 Its a simple side- plaited style was seen at Ashish Summer/ Spring 2012. 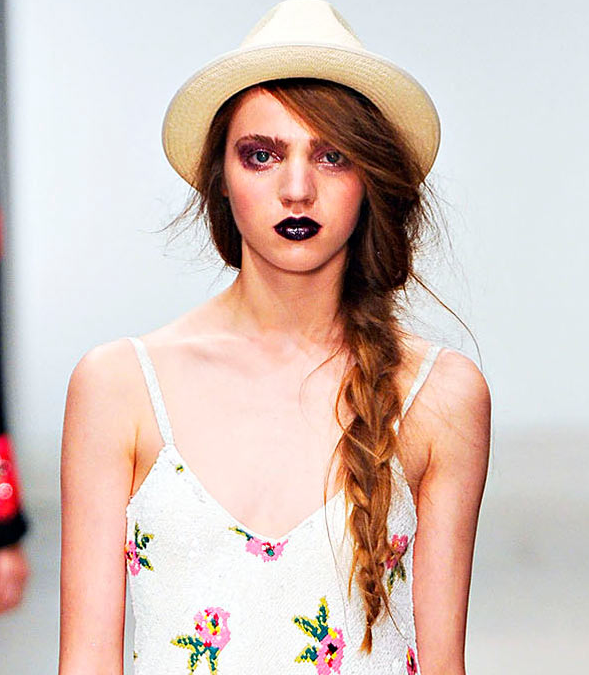 This style was seen at Ashish Summer/ Spring 2012. Its a twisted random swirly up-do. To give it a soft and feminine look at the front, the part of the hair has been kept on the pretty side- swept style. Its the style was seen at Giorgio Armani Summer/ Spring 2012. Its again the style was seen at Giorgio Armani Summer/ Spring 2012. You need to grab the sections of hair and twist them back into snakes and pin it by gathering the large part into bun at the center of your head. 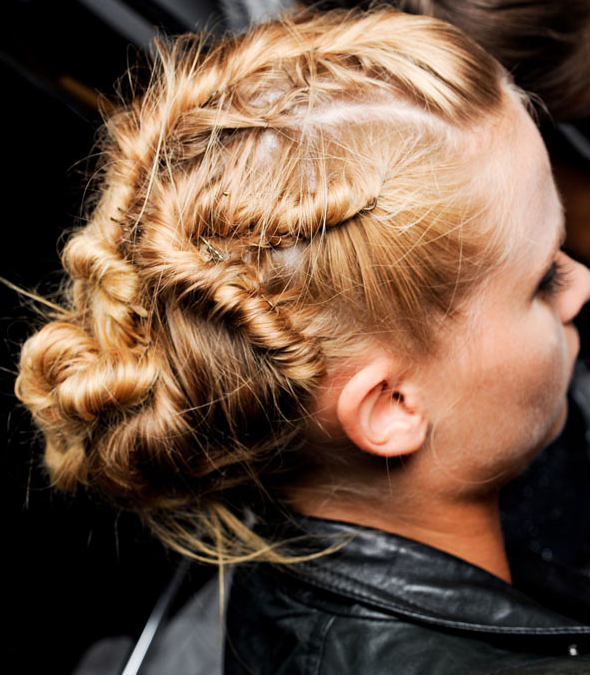 Its a classic halo braid style seen at Moschino Summer/ Spring 2012. 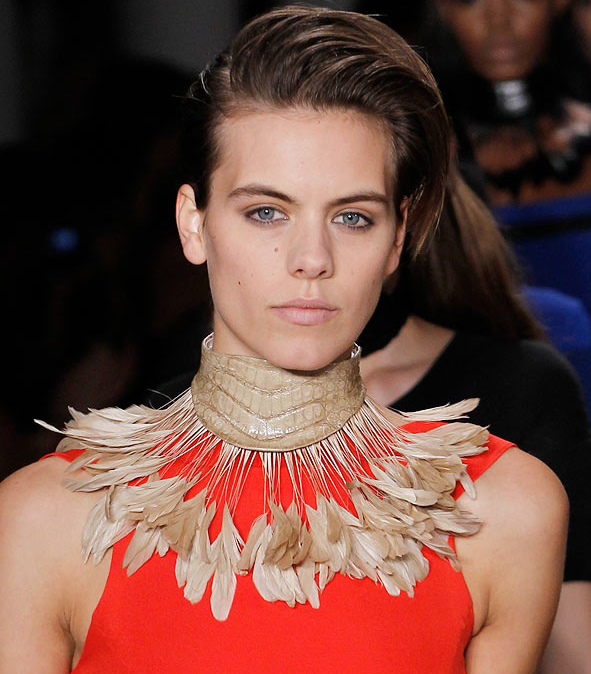 Its the style seen at Valentino Summer/ Spring 2012. 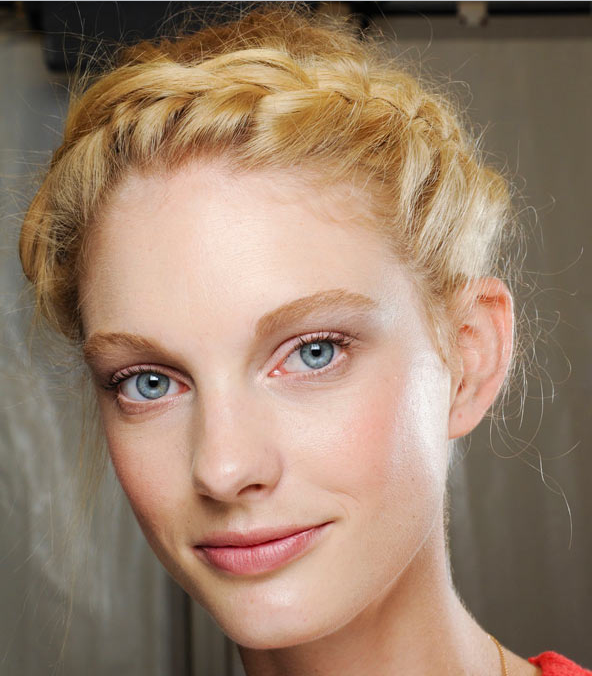 Its a romantic style with softer and prettier halo braids. Its a low maintenance statement style seen at Valentino Armani Summer/ Spring 2012. The trend of center parting is back. Its the style seen at Calvin Klein Summer/ Spring 2012. Its the style seen at Givenchy Summer/ Spring 2012, in which they have added few twists for a cool grunge finish. Its the style seen at Isabel Marant Summer/ Spring 2012. Its a polished, blow-dry, straight look with a slick of serum and shine- spray. 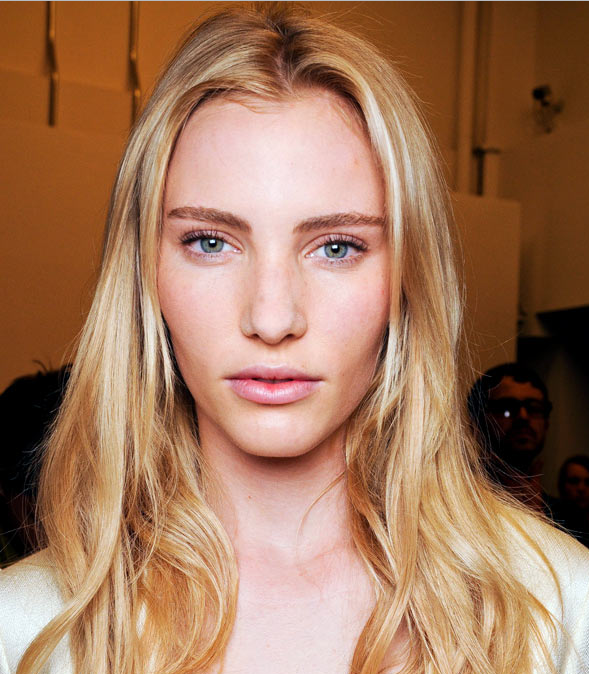 This style seen at Theyskens’ Theory Summer/ Spring 2012. in which extra curls are added for texture. The famous beehive is back with full hair- raising, high- rise styles which makes you duck to fit under doorways. This style seen at Diane von Furstenberg Summer/ Spring 2012. Its the style seen at Fendi Summer/ Spring 2012, in which the hairs are backcomb at the roots before gently combing back into a chignon with hairspray as your friend. 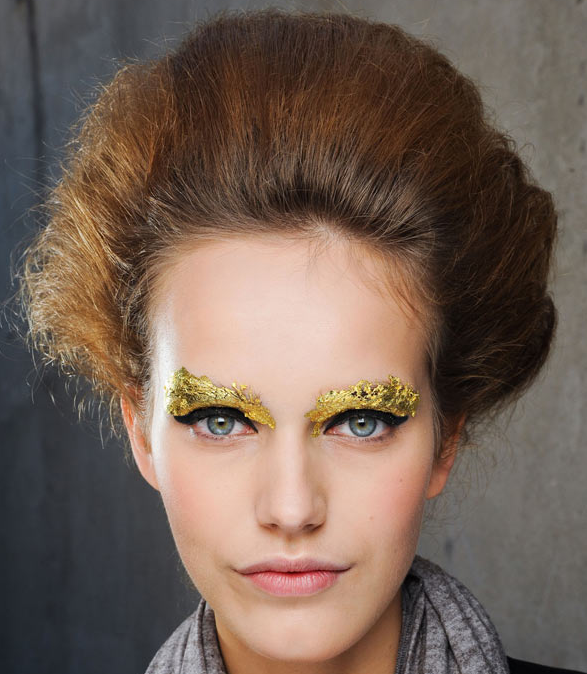 Its a egg- tastic look seen at Rochas Summer/ Spring 2012. Its a cool, androgynous style. 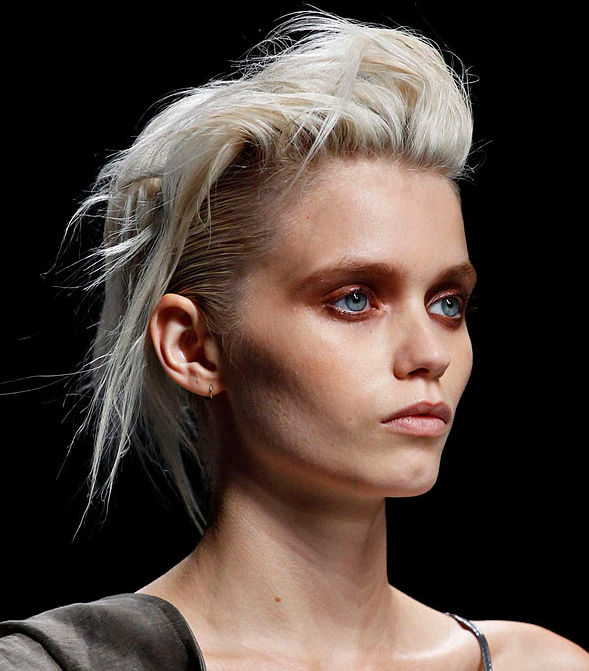 This style was seen at Haider Ackerman Summer/ Spring 2012, in which hairspray is being used to slick the sides of your hair back and before combing it back add some styling product. 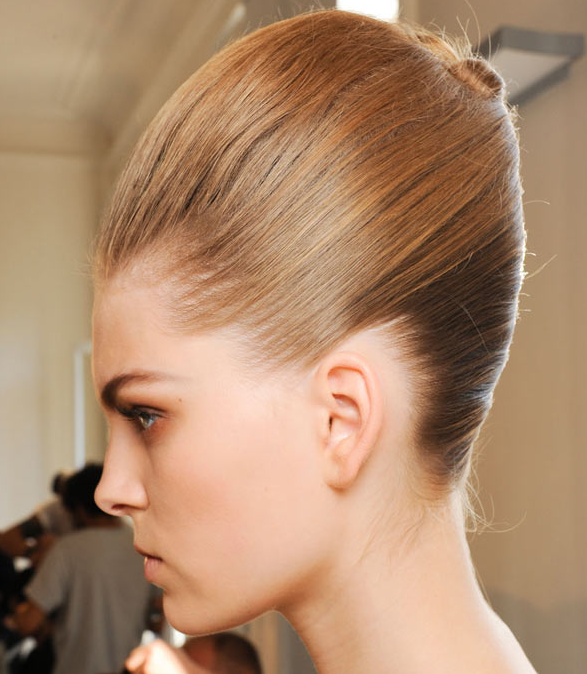 Its the style seen at Ohne Titel Summer/ Spring 2012, in which you just need to sweep your towering quiff to one side. 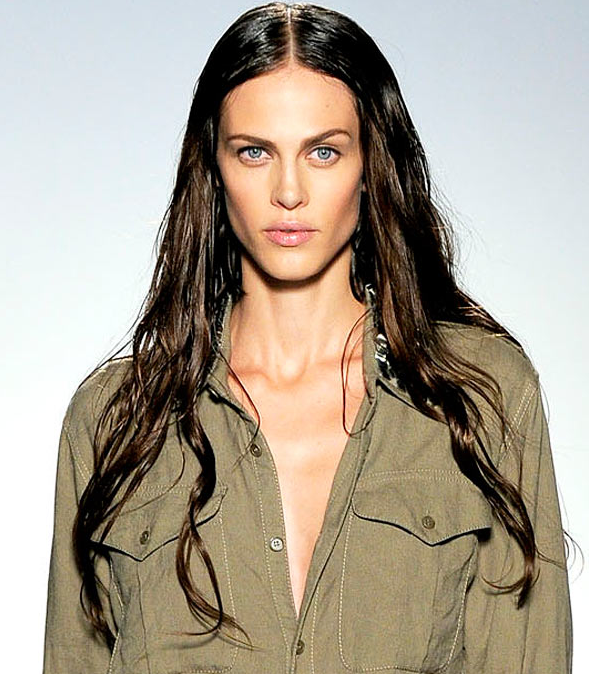 This combine quiffs and wet look style was seen at Aquilla.Rimondi Summer/ Spring 2012.